For all those depressed Windows 7 Smartphone Users, here comes some good and fresh newsleaks. When Microsoft announced Windows Phone 8, it also announced that Windows Phone 7 based devices won’t be upgraded to the Windows Phone 8 operating system, which had a major hit on sales of Windows Phone 7 based Nokia Lumia handsets. Along with the announcement that Windows Phone 7 based devices won’t be receiving update to Windows Phone 8, Microsoft had also said that all the devices running Windows Phone 7.5 will be upgraded to Windows Phone 7.8. A couple of days back, a 25 slides' company’s presentation leaked out which contained information on Windows Phone 7.8. Although the slides were in Chinese, Chinese WP site winp.cn made the translation available. Now, there’s another leaked slide which shows life of these Windows Phone devices after the Windows Phone 7.8 update. 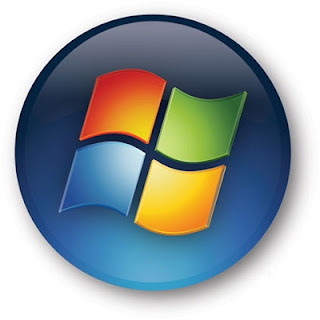 This proved us wrong with the fact that Windows 7.8 will be the last update for the Windows Phone 7. According to the official Russian Windows Phone Twitter page, Microsoft will be providing 18 months of support for Windows Phone 7.8. Also, when we took a close look at the leaked slides, we discovered that the next update apart from Windows phone 7.8 does exist and is currently named as Windows Phone 7.x. Windows Phone 7.8, which brings some Windows 8 features to older Windows Phone models, like the same new start screen, resizable live tiles, Wi-Fi tethering, improvements to the camera, a customizable lock screen which allows users to control which app notifications and images should appear. Undoubtedly, Windows Phone 7.8 will definitely try to match the experience that Windows Phone 8 provides, and with Windows Phone 7.x update, we can expect to see some more new features. Keep reading for further updates. 0 Respones to "Slideshow leaks : THERE IS LIFE AFTER WP 7.8"